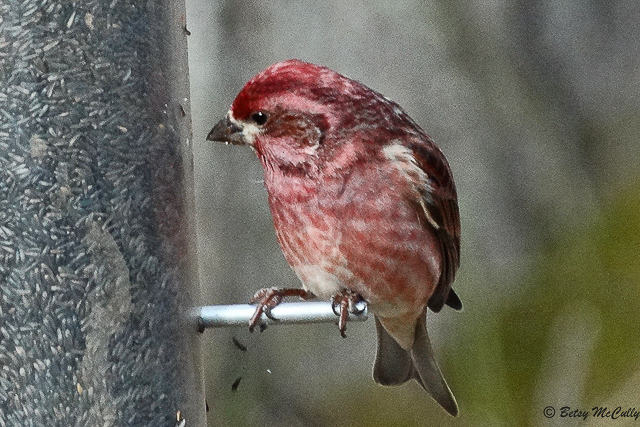 Purple Finch (Haemorhous purpureus). Male. Forests. Occasional winter visitor.